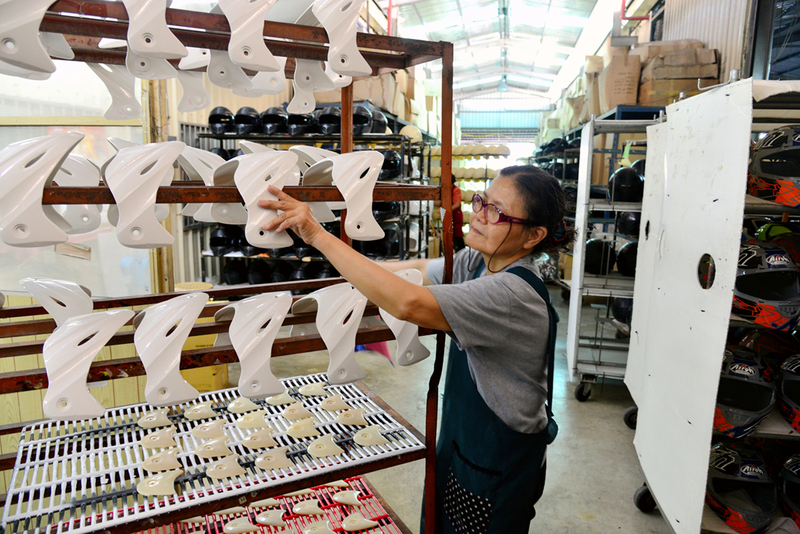 Te An Helmet, a professional manufacturer of safety merchandise in Taiwan/Vietnam. 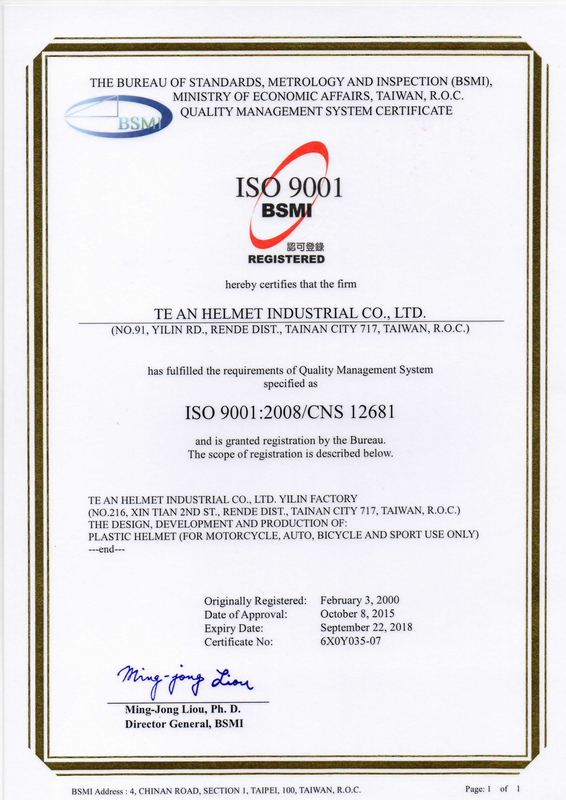 Since 1991, TA has kept researching and developing a better helmet for head protection. "VR-1",the priority is always PROTECTING THE HEAD. Never compromising with safety and comfort is the golden rule in TA when makes a helmet. That is just the reason why "VR-1" is able to conform to every major helmet safety standards in the world. For the stable quality and higher technology purpose, we have worked towards the full process in years. Except for the raw material, we inject, stitch, anti-scratch treat, water decal print by ourselves. We are proud to tell everybody that VR-1 makes sure all the production under full control.